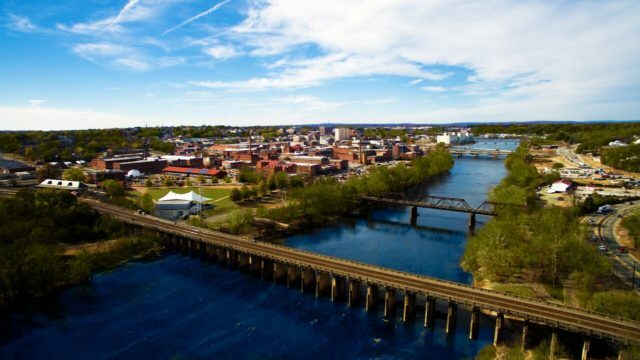 Since 1999, the Danville River District Association (RDA) of Danville, Virginia has dedicated itself to revitalizing the city’s Downtown Historic District. During the 19th century, Danville flourished as an industrial town producing tobacco and textiles. In 1995, Danville was added to the National Register of Historic Places, a designation that the city has used to successfully cultivate cross-sector support for its revitalization efforts. The organization had already conducted a core capacity assessment that provided RDA with ideas and recommendations for future growth. In addition, Schwartz brought more than 20 years of executive leadership experience in community redevelopment efforts, including several years in Ocala, Florida as Director of Business Retention and the city’s Main Street program. In late 2017, RDA reached out to The INS Group to conduct a strategic planning retreat that would produce a well-defined transformation plan for the city’s River District. Because Danville is a Main Street America community, the city needed to incorporate a four-point transformation strategy that has been successfully implemented in nearly 1,600 locations nationwide over the last 30 years. Since completing the strategic planning process, RDA has spearheaded its implementation plan by developing training for its Board of Directors, public events, and new volunteer engagement strategies. In addition, the organization has successfully increased its donor and funder bases, receiving more than $765,000 in multi-year grant support since August 2017. Today, RDA has transitioned from Stage I of the planning process—which Schwartz cheerfully refers to as “Gathering Financial Capital”—and is now in Stage II, “Gathering Human Capital.” The organization continues to recruit and train volunteers as well as develop training opportunities for Board members, including fundraising and long-term resource development planning. Does your nonprofit need help with strategic planning or Board training? Contact The INS Group today!